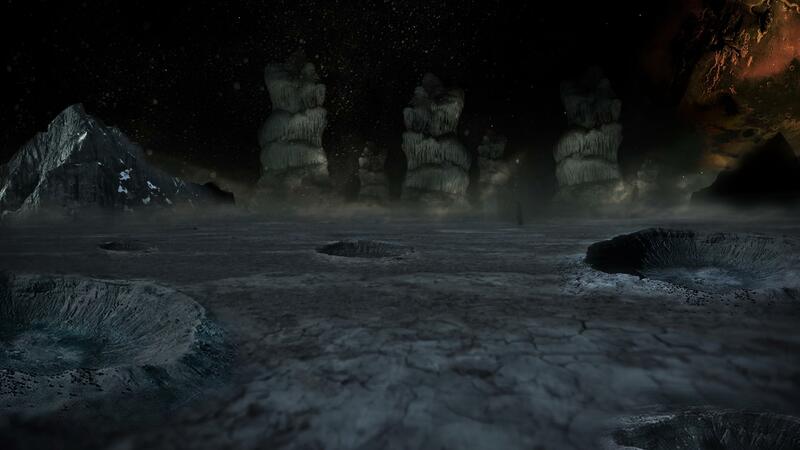 I had this crazy idea to see if people on Video Copilot wanted help create some stuff for an new tutorial about an alien planet that may or may not resemble the one from the upcoming Prometheus film. Basically we filmed a short scene where Sam is running from some destruction followed by really bad things and one of the shots we need is the one above. As scary as the palm trees look, I was hoping to replace with some mountains and dark sky and something inspired by the Prometheus film to help complete the world. Now, if I had a little bit of help doing the background I could start working on the other stuff and we’ll just make it a lot better! Plus it would be fun to bring the community together participate in the tutorials, right? Of course your name in the credit and we will even feature some of the best ones on the site for all to see. Plus if you help, I might be able to get this thing done sometime this year! 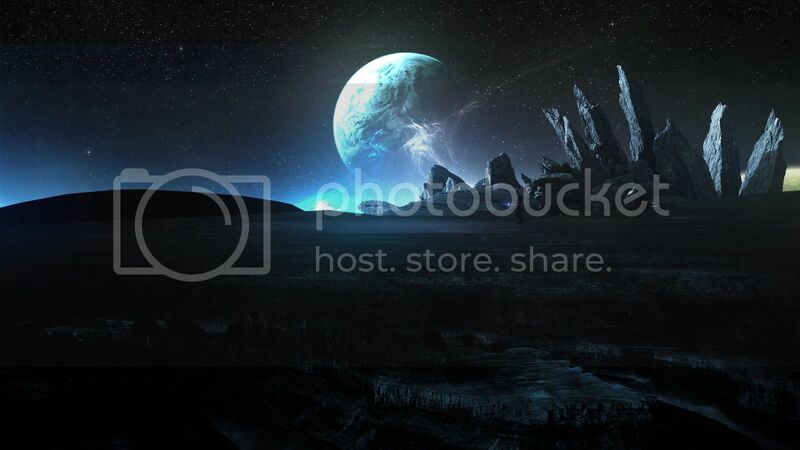 – Replace everything above the horizon like sky and mountains of a desolate planet. – Post a link to your work when you are finished. – Have fun and be creative!! The deadline is JUNE 15th!! This is our first challenge, let’s see how it goes and we’ll try to make it more streamlined in the future! This is what I did. Hopefully, Andrew, you like it. I didn't see the deadline date. Its ok though. 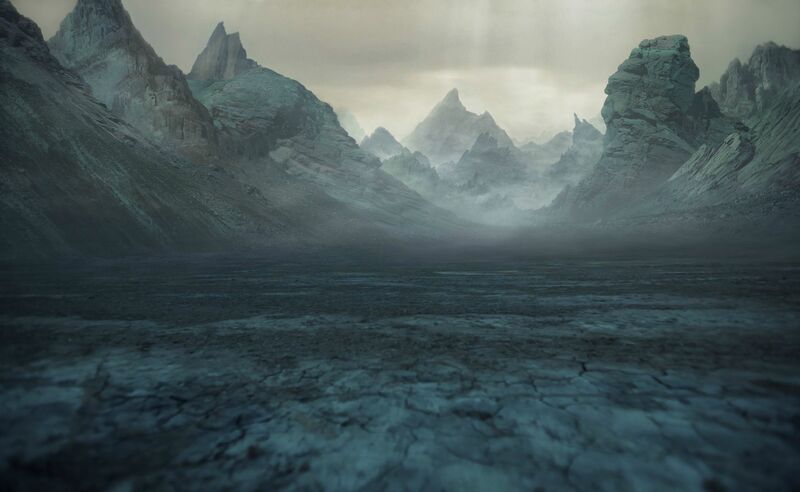 Had fun matte painting. Hi, I'm a novice. I want to find some help. Who can leave your MSN or Skype. I want to make some friend. By the way, I'm a Chinese boy. Damn, I missed this one. Do some more contests please. I love to Photoshop and I love to be in contests!!! Whoa!! I'm in a HURRYcane!! Let's hope I won't be late!!! Totally missed this one - and this woulda been awesome to do! Well, just shows I need to check the blog more often. This would be awesome to do on a fairly regular basis - involve the fans with creating assets kinda thing. And if you want to know why I DIDN't make something Prometheus-esque (there ya go), it was because I totally skipped that line in reading the instructions. What? It was the first line you say? Oh well. Besides, the movie ain't come out here in Tokyo yet, and I didn't want to spoil it for myself. Yeah, I'll keep telling myself that. No, seriously, some very, very good mattes up here. Look forward to what you guys do with it. Hey, Andrew, why my previous posts have disappeared? Is it because I posted the link of the image on Facebook? Well, anyway, I just send the images to another site. I hope you accept this new link or find out what happened to the previous posts. Thank you very much for holding this challenge! It really brings the community together. Hello everyone! Sorry, I've mistake above. Jaw dropping! Well done! Love it! Not the greatest but not too bad. Hope you like it! Here Is My Entry .. hope you like it! Here is my matte painting. If this is a repost sorry my upload from yesterday didn't seem to work. very impressive/ nice website too. postet it wrong yesterday, dont know why its not listet. anyway here my "alien-paradise-planet". I'm not sure about changes below horizon line, because Andrew told us that we need to use the Plate and change elements above horizont. Here's my entry I had fun with it! Here is my attempt! This was fun! thanks for the opportunity! SORRY! had a response that it would not work. how to delete the others?? 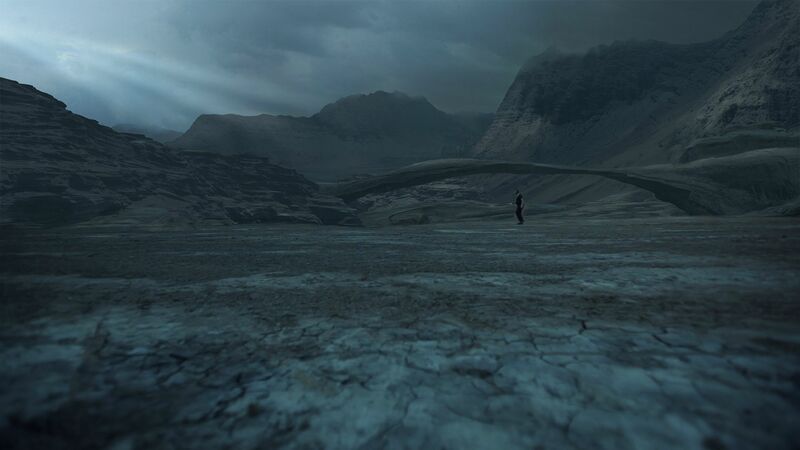 My first matte painting, it's been fun! I got confused, am I supposed to post my image on the forum as well as here? Thanks for the awesome tuts AK, your the best! Wow, some good ones on here! It's not that great, but fun for a first attempt! Wish I had more time to work on it. Just did a quick test wish I could spend more time on it. My entry.....can I have a prize if I win??? Something nice from your AMAZING range of AMAZING products??? Here's my entry andrew i hope you like it! 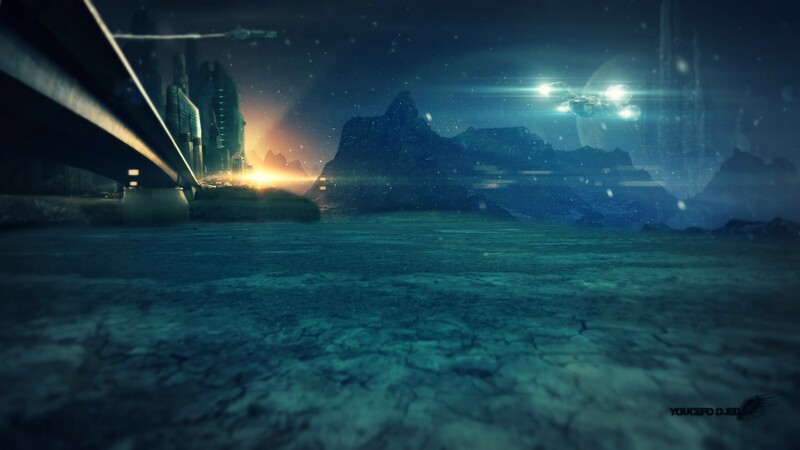 I used Lumion for the landscape and clouds, Spaceship modeled in 3dsmax and building found on web, Hope you like it. Here are my three entries. 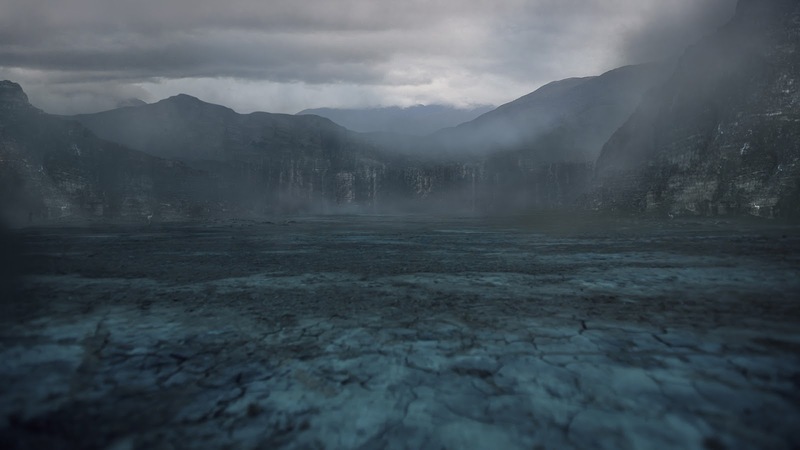 Went for the cloudy mountains look that is dominant in the intro of Prometheus in two of my entries, and tried going with a more flat, but still "alien" landscape in my last entry. Here is mine, thanks a lot. Here's my submission. Fun stuff! There's some stiff competition! Thank you Andrew for all you do! Oh my bad I originaly wrote my post to an another blogpost. Here is my reply to AK’s challenge. It was really fun to do (about 2 hours with rendering and so). I would like to participated on more challenges. Very fun challenge! Really enjoyed taking on the challenge. Well heres it is. I' ve posted it earlier but i was "lost in moderation"! This is my try! Hope you like it! Here are my results. I took 2-3 hours. I gave it a try as well. I enjoyed doing this its been my lunchtime project. Im hungry now. Here's a little something, hope you like it! Here is my try at this! Watching this contest has been great fun; putting together an entry was even more fun. 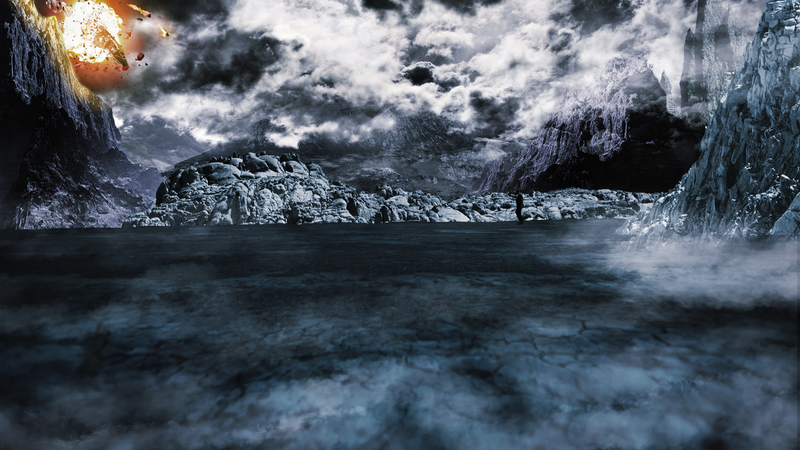 Here's my go at it: First try at matte painting. I think I need to calibrate my computer monitors more succinctly, as it looked bluer when I was working on it. 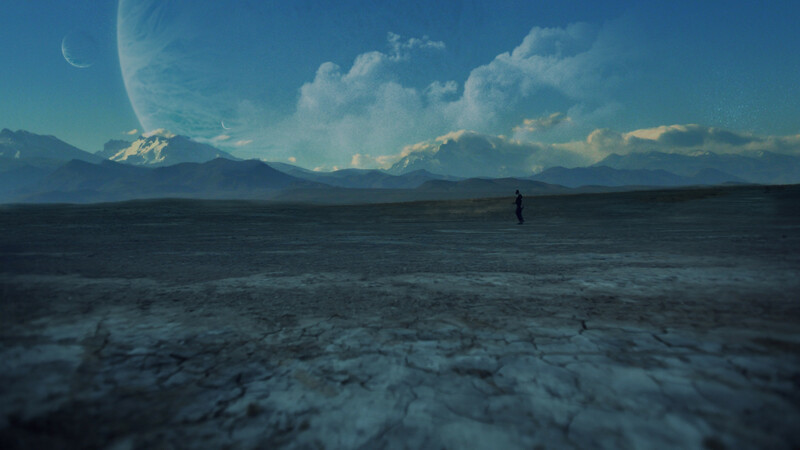 Here's my matte painting entry. Great fun!!! Took about 20hrs, used Vue and Photoshop to create. After looking at other entries and getting some great inspiration, I gave it another shot. Here's a another version, with no foreground element and a planet in the sky. thanks for the opportunity to practice. I hope for more interactive community stuff. Not for this challenge, but a couple months ago I made this for a Student Film Festival, all created in a week. 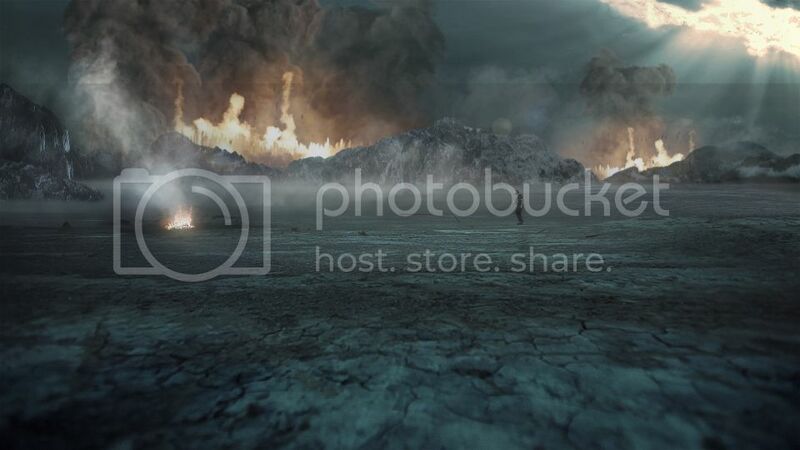 The mattes were mostly a small model we made and photographed, with some compositing. 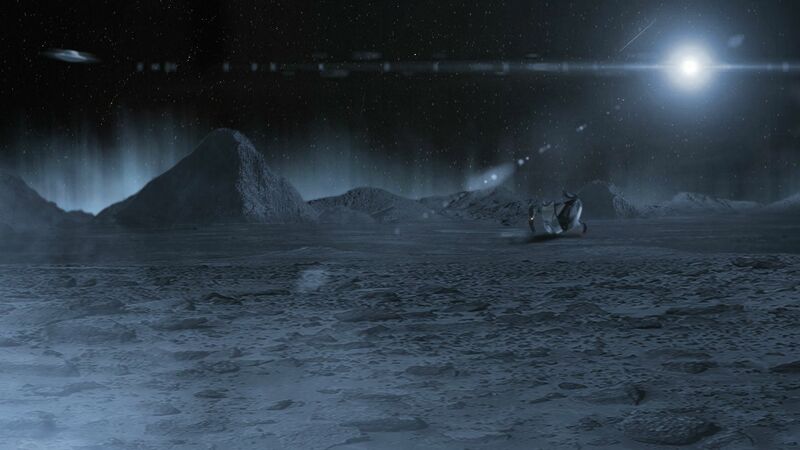 Also I know a lot of the shots in Moon were based on miniatures. A bit beside the point, but still an interesting approach! And now I'm working on a feature length. Here's one tiny shot, enjoy! ...And thanks again for everything you and your team do for us! And for now allowing us the chance to be apart of the Magic that is Film and Videocopilot! Now to go eat everything in the kitchen till my phone chimes, letting me know that I have received an Email from the one and only Mr. K!!! 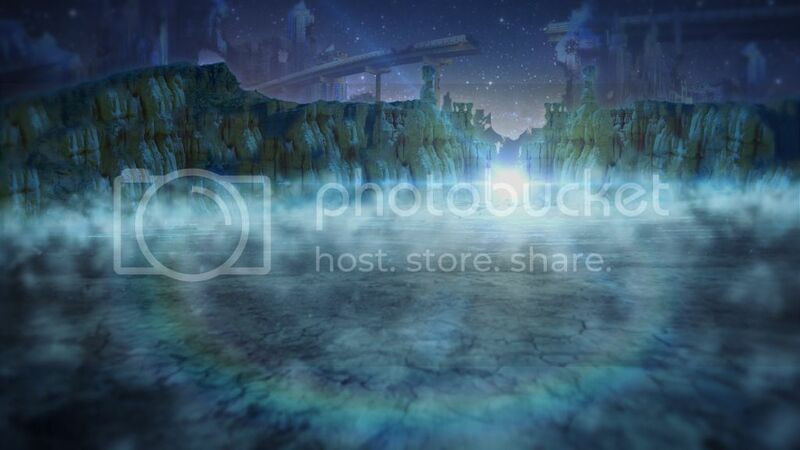 There's two version, one with every single layer I've used, and another one optimized for a 2.5D matte painting. I saw some entries until now, all this pretty awesome! Maybe my entry is not so good, but I decided to increase the work making a video for that. I'm 20 years old and my birthday is June, 20. I'll be very, very happy if my entry was selected (or help Video Copilot with something). This is gonna be my BIGGEST gift birthday. Thank you Andrew Kramer and Video Copilot for this challenging opportunity! See you later fox ! hope you like it, it's been plenty of fun. There is some great inspiration coming from this site! Cool Challenge! Love the site and products! I wanted to create a weird sun like thing about 100 times smaller than earth which has landed on the earth ( right next to sam lol ) which defies all laws of the gravity made till date , its a weird magnet like planet which will be pulling up all the metallic objects on earth hence i wanted to show cars and ships and stuff floating in the air because that object has initiated a weird balance in the pull of the gravity so nothing is going on normal everything metallic is floating up in the air , even the rocks and stuff also apart from magnetic properties it will have an ability to pull up water , hence those trees can actually be transformed into a tsunami like thing ! sheer destruction ! 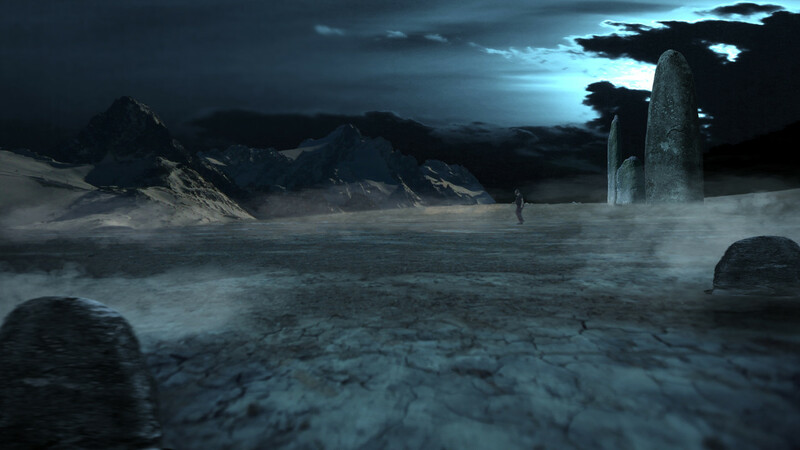 oh yeah :D but then since it is matte painting you may have to animate those :L But anyway Just an Idea , If you like it just ask me I'll create what i'm thinking in give it to you so that you can do the rest of the job , I Didn't do it cause you've not filmed the entire sequence according to me so that would be a waste , Anyway folks Hows the idea huh ? If u wanna make it, then design one. And u said that "I Didn�t do it cause you�ve not filmed the entire sequence according to me so that would be a waste"... pity on you... Go and see the forum, how many submissions were there till 7th june..... Stop talking and start doing! I'm not a matte painter but this is a real world photo I took that could possibly be made into something. mind if I give that a go? great pik! Looks way cool Tokyo James. great job :) I hope Andrews sees it. 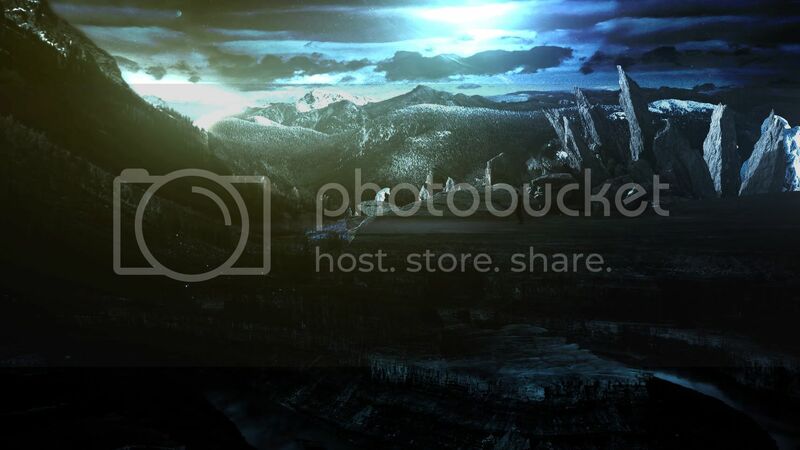 You've just ripped a screenshot from the Prometheus trailer and slapped the foreground on top. my attempt...maybe a bit too busy. I've learnt a lot working on this I might try again before the competition ends. Here is my work. I tried something simple, in two variants. Thanks for all the training Andrew! Forgot to mention that this was created entirely in AE. Hope in the future you do more of this,giving people chance to show what they learn from your tutorials!!! I can see loads of awesome wokrs made by you guys! ok ok, not what you expected but for andrew i took my time in ms pait cuz for somereason my photoshop and after effects not working :( but here ya go MS PAINT! I already shared this in the other thread. But just wanted to make sure it was in the right place. sorry for the double posts. My browser is being stupid. I haven't checked all paintings but most of them, and there are really good ones. Maybe someone likes mine... but I have to say, I am new to this technique. I cant wait till copilot has more Challenges... These are great for people motivation.. This is a great challenge! Thank you for the opportunity to contribute to your work. 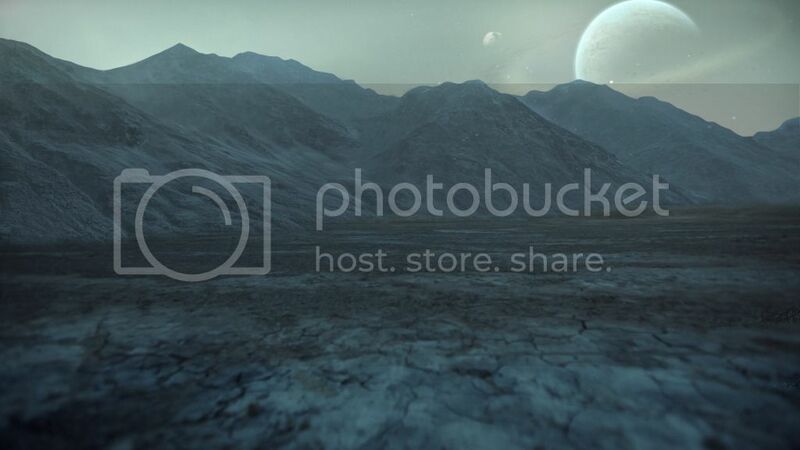 I saw your new blog posting (Planet Matte Paintings) with your take on what the style of video is going to look like so I tried to keep mine very similar for consistency. Here is one without the foreground elements in case you planned on adding in your own! Here is the link to my matte painthing. I hope you like it. Hey this is my attempt. See ya! 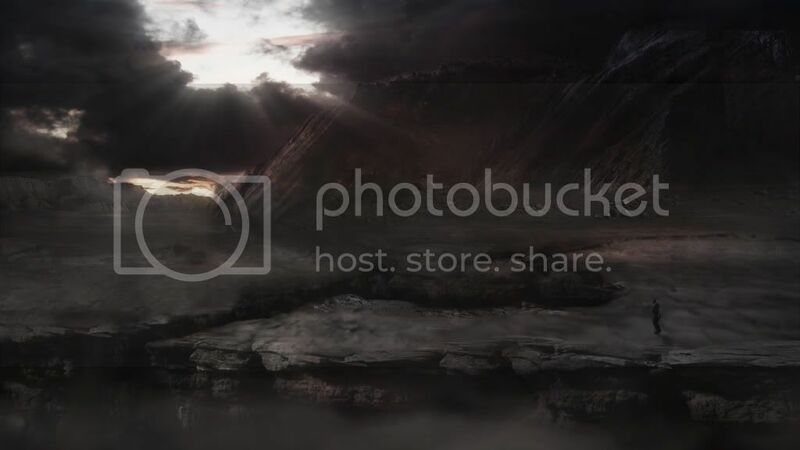 "Replace everything above the horizon like sky and mountains of a desolate planet"
here's the link to my entry! i already uploaded it to the forum challenge, although its been giving me some trouble. Hey, that's my idea. 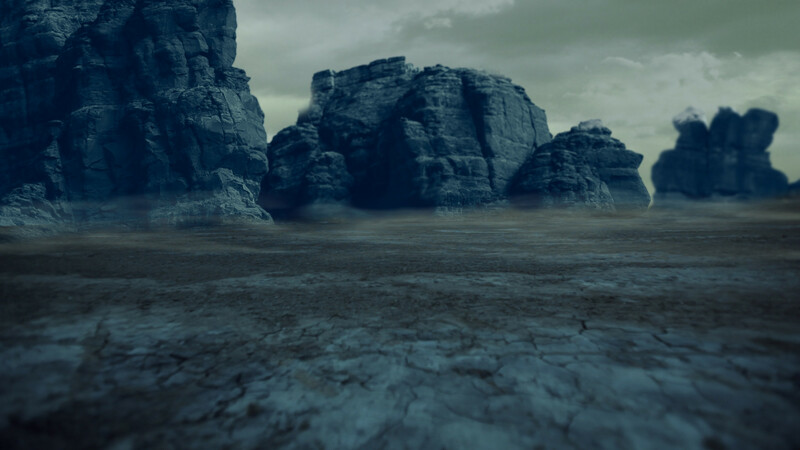 Unfortunately I dont have more time to spend on the matte painting, but thanks for the great challenge - it was great fun! Great challange!Here is my attempt. Awesome Idea! My my try at it! Hey! Nice try there! Looks good. I hope You like it Andrew. What a fun contest; thanks for the opportunity. Here is my entry, comments and criticisms are welcome… as long as they’re constructive, haha. I apologize if I double post... My comment doesn't seem to be showing up. Here is my attempt. 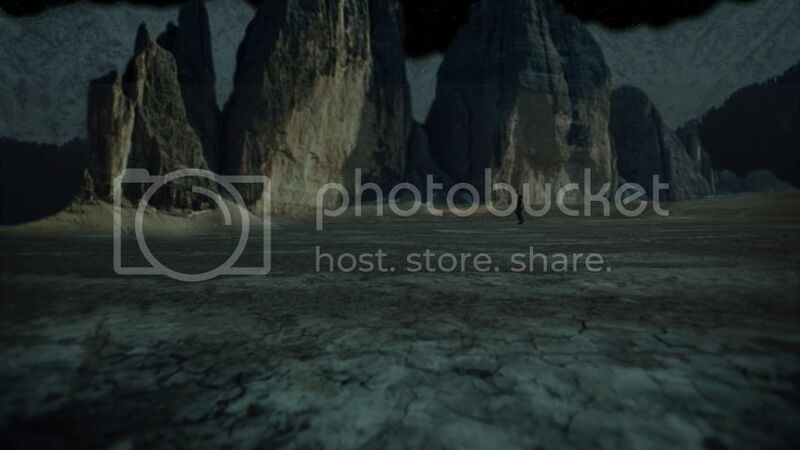 I used the Vasquez rocks near Los Angeles. 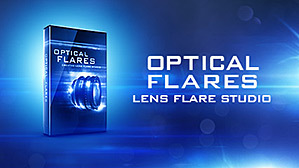 They have been used in many sci fi movies and commercials. DUDE! This is AWESOME! Be sure to post it in the forum section though so it'll get the right notification. I posted mine two days ago and it still shows in moderation so trying again. Hope you enjoy. I see I am not the only one to add water. Used Psunami for the water. I have a still image as well as a moving one. Lots of fine work here. Here's my version of the landscape! love the work everyone looking great! ,..this is a good one! 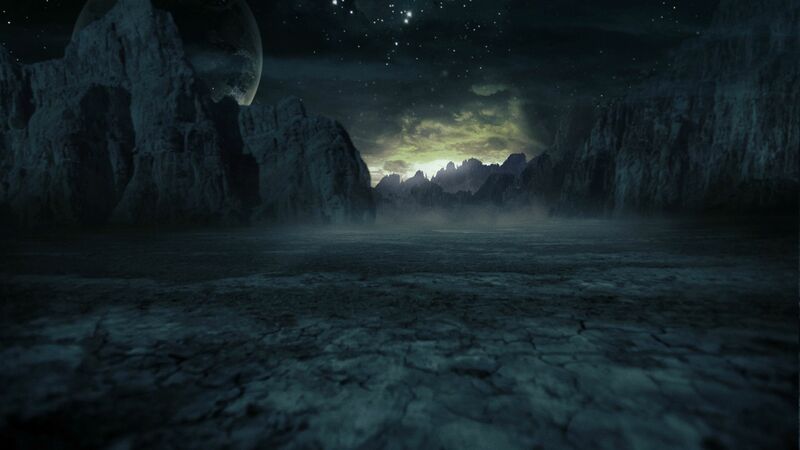 This is my first matte painting ever!It took a while. Saw Prometheus last Friday. I think this one matches the setting better. Still not 100% happy with it, but hey... gotta keep trying. the project file is included so if you use please link back ... good luck to everyone who is putting in alot of effort..
How do I put the link to my finished work to the bea andrew? I have three very similar entries! ALSO I added Andrew's face... because I could. Here is my try, PS and AE used,(matching the blur was..uhhh). (this is not technically awesome, but i think it's enough to appreciate it). BTW, sorry for my bad english (still learning). like others have said based on dates my entry seems to have vanished, some great ones so far. Heres mine, I like to keep things simple so effects like Lensflare can be added later. Lots of good paintings out there. Haven't done much, just the idea. And instead use some real footages as most are doing I've decided to make my own using C4D. What a fun contest; thanks for the opportunity. Here is my entry, comments and criticisms are welcome... as long as they're constructive, haha. 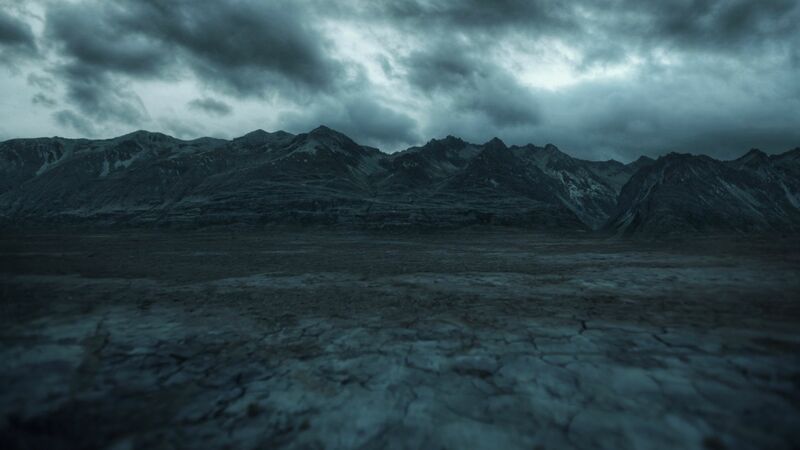 Here is my Matte_Painting submission. Thanks for all you do Andrew Kramer. You bring the Special in Special Effects :). Here is my link for this challenge! I really hope that I have respected the theme! I take this opportunity to support Video Copilot from France! Hope you enjoy. I see I am not the only one to add water. Use Psunami for the water. I have a still image as well as a moving one. Here is my link, it took only about 15 minutes, using only After Effects. Here is my stab at this...fun fun!! 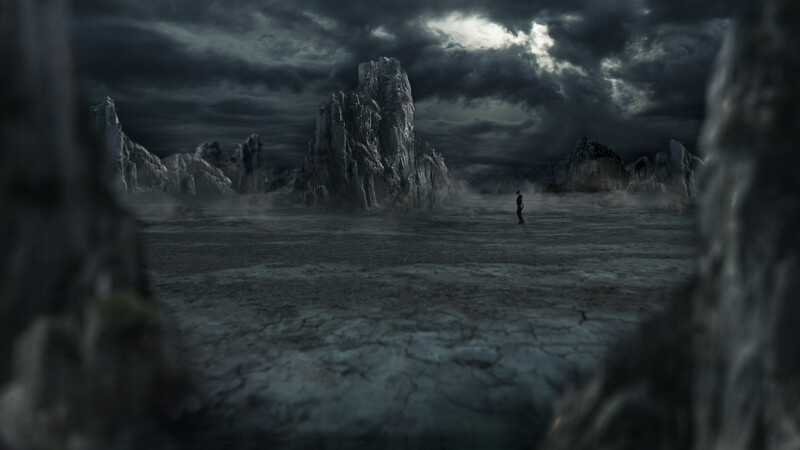 Here is my second Matte Painting. After seeing some of these paintings I had to try again and step up my game!! one is with optical flare and the other without. Here's the link to my entry, https://www.dropbox.com/gallery/50232636/1/Pics?h=b0199d. 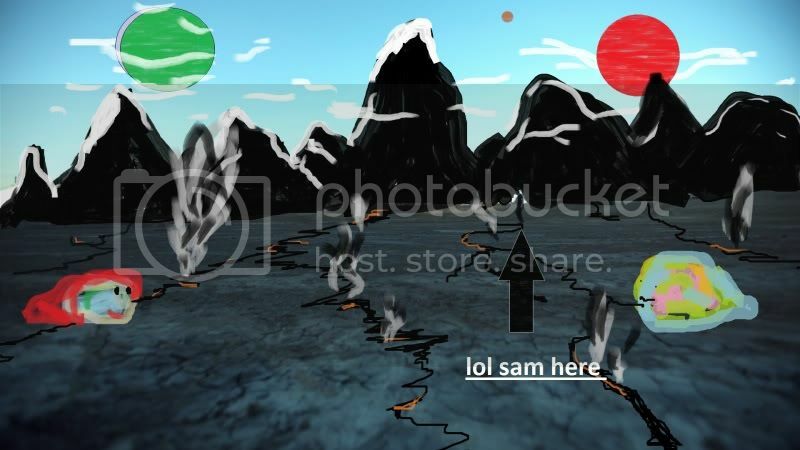 Sam walks across a desolate plane on an alien planet. 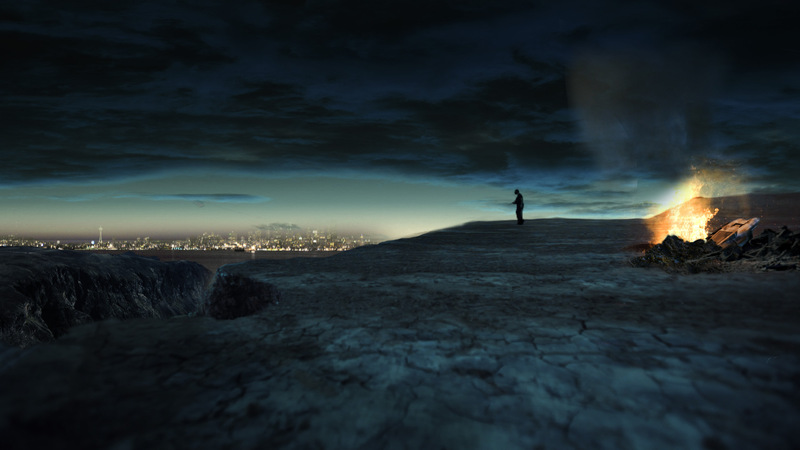 he's walking away from some destruction, probably that he caused - you can see the orange glow of the fire from the right reflected on the ground and on the cloud bottoms. The whole scene is viewed looking out from the mouth of a cave. This was a lot of fun. Can we blow Sam up in a future colaboration?! Here is 1st one if i get some free time going to knock another one out before the 15th. Here's my effort, tried to stick to the brief but any constructive criticism welcome! Ok, here's my 2 cents.. I wish I had all the time in the world to work on these kind of projects. This world,. or the next for that matter,. ...hope it looks ok for a starter. i tried to use some optical flares. please tell me how it is! Wow! that's simple but awesome! 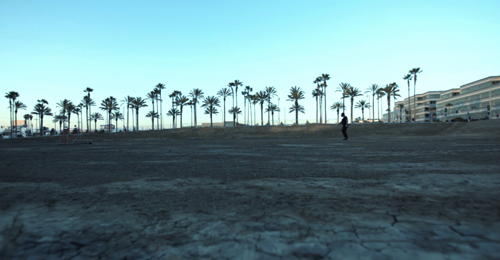 I know this location! It's South Campus Center Drive in Playa Vista in Los Angeles. I have a friend who had an art studio in the old Howard Hughes cockpit hangar, and was fortunate to be on set for Transformers 1 in the sound stage there. These have some minor variations.I couldn't decide. Alright guys, here are my first two iterations for this challenge. I may add more little details, but for now I am liking where it is going. Hope you enjoy! Even if it`s not good I had a lot of fun doing it so thank you!! I'm kind of new at Photoshop but I have to say that it's quite fun. I know it's not that great but then again I am only 14 years old so I decided to give it a try anyway. Dude don't sweat it! When I was 14 I only just started to learn basic drawing. For someone your age this is pretty awesome! This is nice. Good rock formation in the middle. I would flip it though, since the lighting comes from the other side. Fixed, thanks man! Didnt see that. Cheers. Hey, I posted my Pic like 12 hours ago- Why wasn't it published? posted my art on the forum. Here's a link for it here too. hope they will be ok this time! I like the one different tone that one is really good.. good job.. and good luck. How long did you spend?? just curious. No.. prob... do you have a youtube channel or work on a site to check out...? Here's my entry, thanks for the opportunity! Here is my 5-minute composite. I did it at work so and I did it fast so don't expect something epic. Guys! 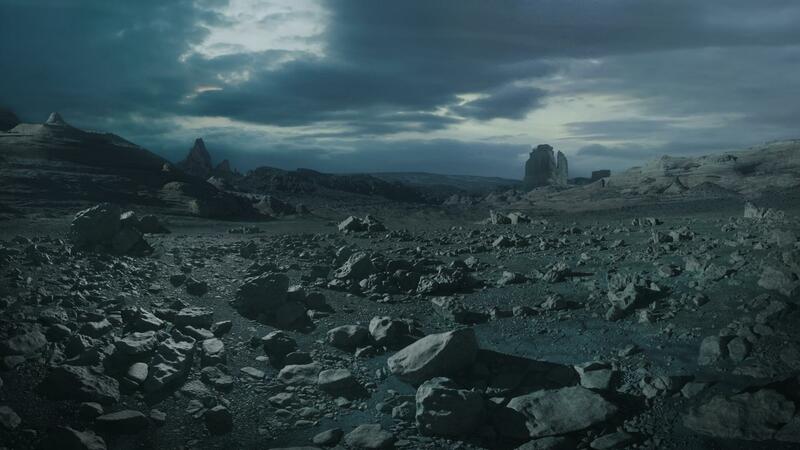 Some of you have made awesome matte paintings here, but i just wanted to point out that it's only the part above the horizon that is supposed to be replaced. Not sure about the spaceships either. 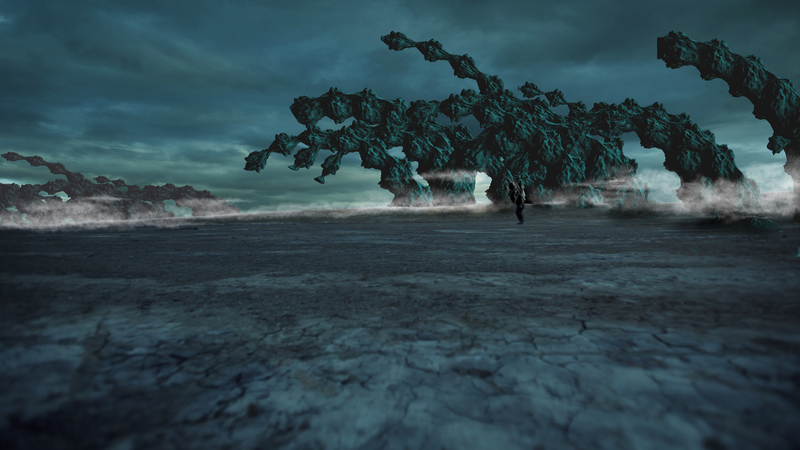 Unless you have a CG model of it, it will be hard to animate. Anyway, just wanted to point out this so you don't waste your time. Yes, but foreground is important too. That gives a depth to the image. 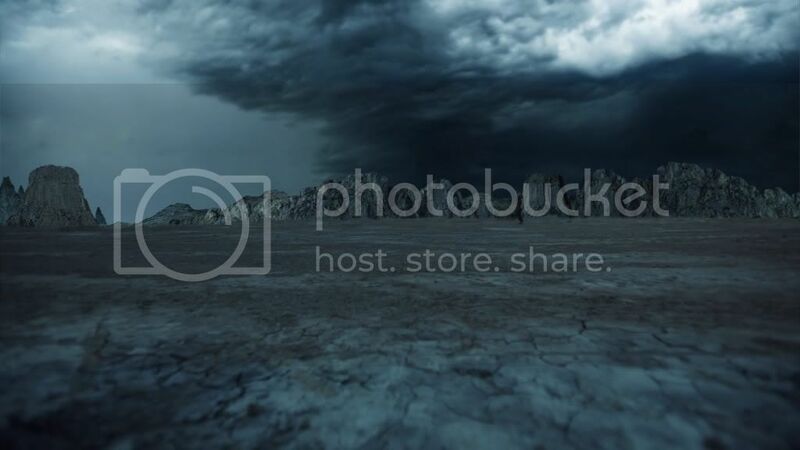 "I�d like to keep the blue tones for the foreground" only the blue tones ? 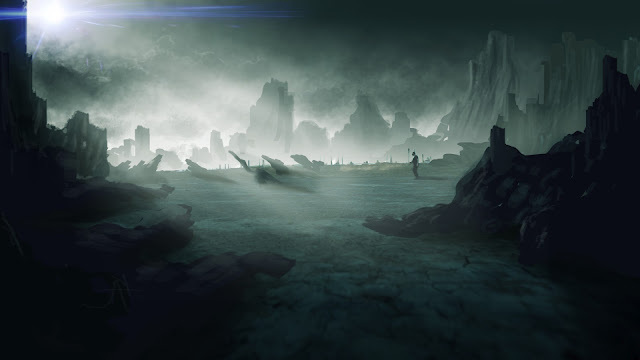 Yes, but you realise this is meant to be a matt painting to be used by Andrew as a background to an animation so the whole foreground will be shot video with fx. 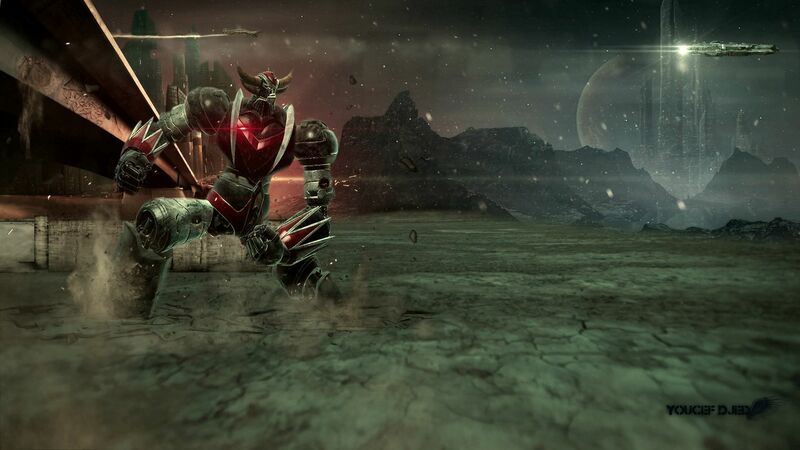 So lens flares, spaceships etc will be added if needed but I think they just need a clean background to comp over. Exactly, I was going to post the same thing yesterday. It's important to stay above the horizon or it will be hard to use it. I think the scale seems larger in this one. Here is a low res of my submission. Rough concept sketch for mood lighting and composition. I'll keep working on it with photo elements and probably some CG spaceship! Amazing one ! I really want to see it in high res with photos instead of paint ! I guess that, as your talking of "concept sketch", "mood lighting" and "composition", it's your everyday job right ? 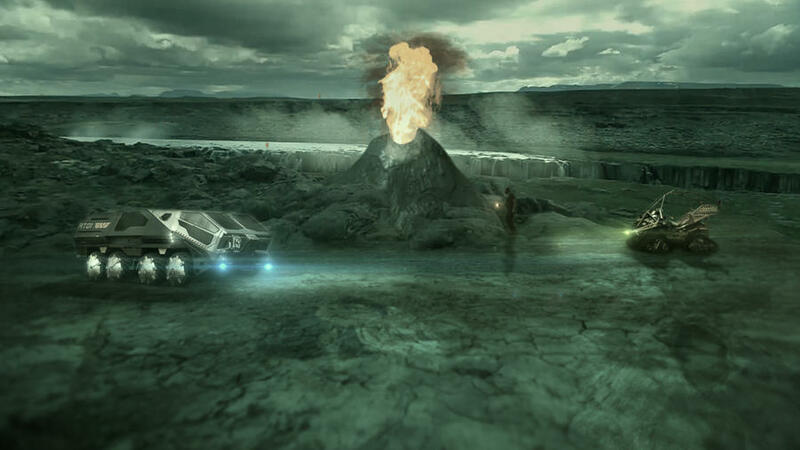 I mean, you should be a professional illustrator or even a matte painter, don't you ? Congrats from France man ! I think it's number 1! 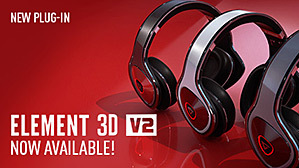 I don't think is the best, not even close did you see those posted in the forums? they look so good!! First try. I LOOOVE some of the efforts on here, and I'm definitely going to take a second/third/fourth swing at this, so comment, babies!! kept working on it after this posted. Looks much better now. Yes Sir, I just saw the link and am gonna see what i got under my black box.stay tuned. 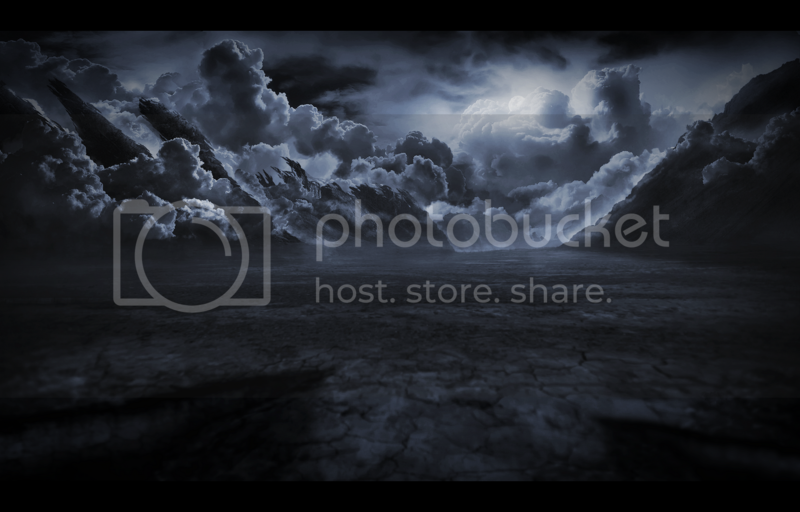 first matte painting...its way to simple, but i think its cool. 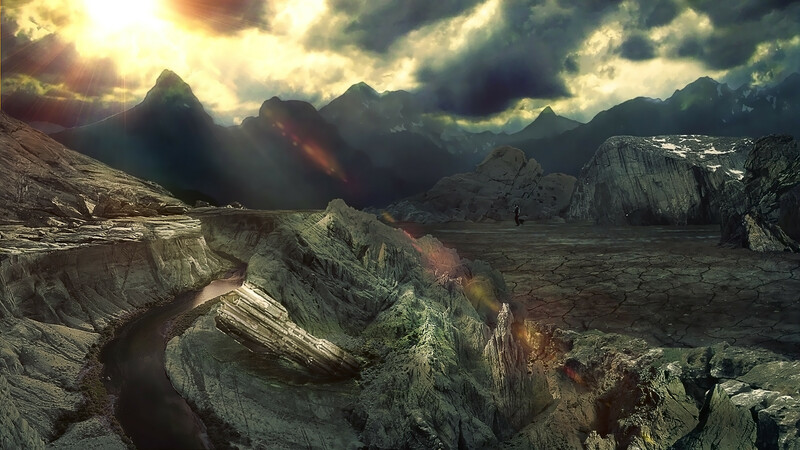 First time I ever tried matte painting. I like it. It's very interesting.